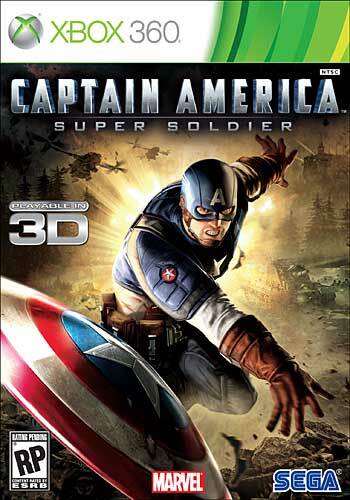 Weird WWII: "Captain America: Super Soldier"
Now just to be fair, I've been collecting Cap for over 30 years and consider myself a major Cap fan so I might be a bit biases. With all that aside I would say SEGA made themselves a mediocre game here. Now the look, fighting, sound and all that is great but the game length, extras and missions are kinda lame. There is no re-playability for this once it is done other then playing it over or with a dozen or so little challenge stages so forget just busting HYDRA heads all day. Another thing is that you can't just replay certain missions or levels but have to start all over again. Again, I am a huge Cap fan and like it because its Cap fighting HYDRA (Would have liked them to be Nazis but close enough) so you might want to rent it. The game does have a killer trailer so check it out. All that said, its a decent game within the WWWII genera.